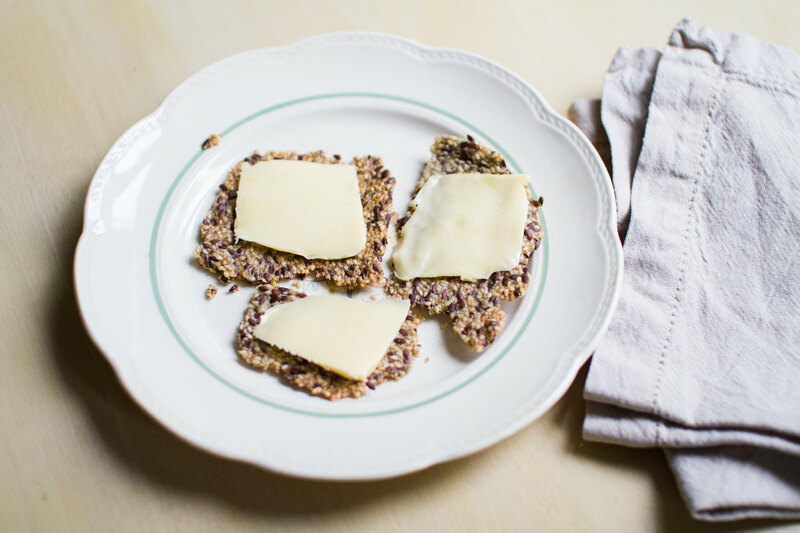 I realized that we haven’t published the recipe for seed crackers! It’s very simple and sometimes it’s enjoyable to have something crunchy to snack on. Here with lovely butter! Put the seeds and psyllium husk in a mixer with an “S-blade” and pulse a few times to crack most of the seeds. That will help to keep the crackers together nicely. Add the coconut oil and warm water, blend it well and spread on a baking sheet. Put into the oven at 150°C for one hour. Cut into pieces and let them rest in the turned off oven until they have cooled. 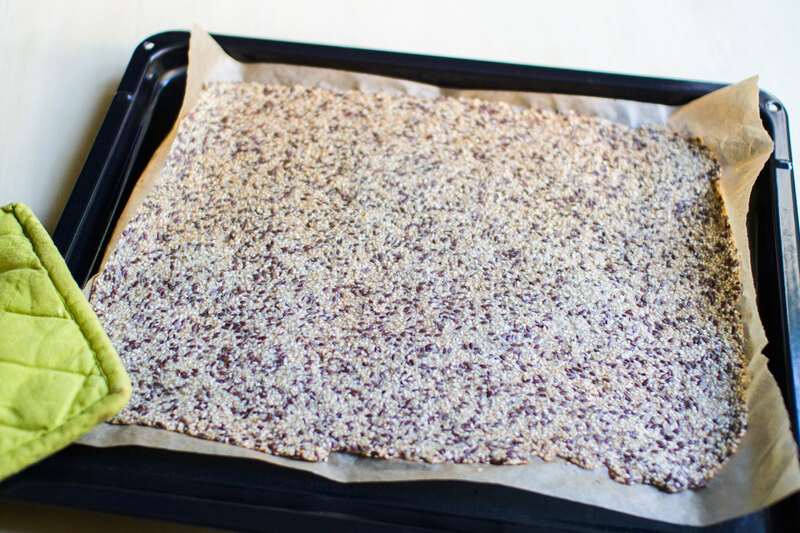 Baking plate with seed crackers. For this batch of seed crackers we used linseeds, sunflower seeds and sesame seeds.